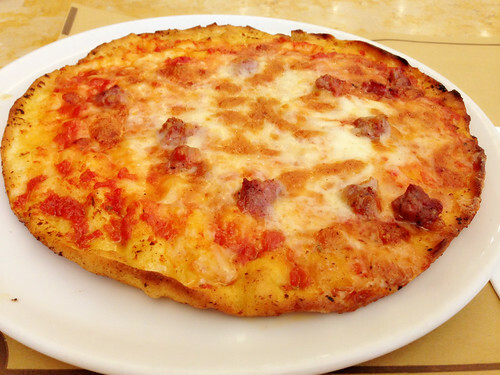 Pizza is the most famous Italian food. There are many variation of pizza, from sauces to toppings. But how about Italian pizza? Most of pizzeria in Italy have two kind of pizza, the one with tomato sauce and bianchi pizza (white pizza). There are many toppings to choose from salami, pepperoni, meatball, and more. The classic one is Neapolitan (Margherita) pizza, it contains tomato sauce, basil, and mozzarella cheese. 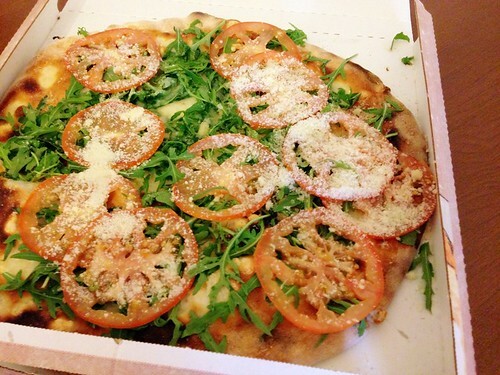 I had tomato and rucola pizza while in Pisa, it was so good. Unlike cheesy and meaty pizza, this pizza was refreshing as they put plenty of fresh tomato and rucola. I also tried Cannelloni pasta that filled with spinach and ricotta cheese. I think it is the most classic filling for Cannelonni as I found it in every pizzeria that I visited. 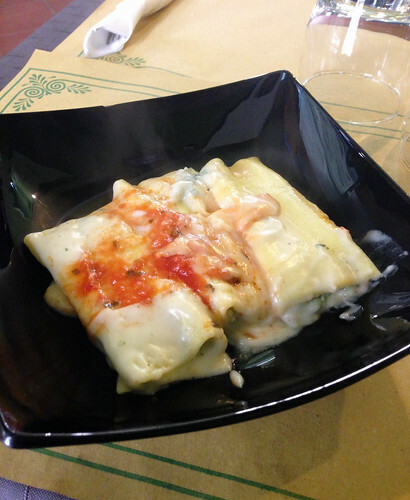 On my last day in Pisa, I decided to order Cannelloni in a pizzeria close to Pisa Centrale (Main Train Station), I also ordered a pizza. They owner was really kind that he gave me discount, I spent less than €10 for a pizza and cannelloni. Probably because I visited the pizzeria several times. I hope I can come back there someday, ciao!